My choices of motive power for Bow Creek are based on loco’s used on the line down to Millwall, the docks and another East London branch, this being the Nth Woolwich/Palace Gates branch. I am assuming that the Blackwall, if it had still been open, would have been upgraded so that other loco’s other than the E22/J65’s, which had originally been used on the line, could be used. The era being modelled is around 1946, with the War only just over, the condition of railway stock had taken a battering with loco’s not having always been serviced properly and certainly nothing had time wasted on it being cleaned. So a good excuse for some grimy engines and stock with perhaps the odd one or two having got a freshen up or long needed repair. Here’s a list of loco’s I have come up with for this proposed extension of the Blackwall line. Engineers/Permanent way/Weed killing etc…………….J15, J17. The “J” tanks were Stratford depots main shunting loco and were to be seen all over the Ex GER lines and sometimes further afield. There light axle loading being ideal for branch lines and the yards and sidings around E.Londons docklands. I have listed the J69/68 in with the passenger heading as some of these were still available for passenger work, retaining their vacuum and Westinghouse brakes and could be called upon to cover for shortage or failure of the regular F4’s/5’s on passenger duty as would the J15’s aswell. J69 0-6-0t deputising for regular loco on a typical passenger service near Stratford Market. The J15’s and J17’s alongside the J67,68,69’s would be seen, on trip freight’s between Millwall, Temple Mills yard and the exchange sidings at Bow Creek, in these sidings I have assumed that there will be one or two resident shunting loco’s at the shed here, an out post of Stratford Depot, based on the engine shed at Spitalfields.At this shed there would be a cleaner and possibly a fitter for light running repairs and minor servicing, with Stratford covering the heavy stuff. These shunting loco’s, a J66,67,68 or 69 and the Y5 dock shunter would be sent back to Stratford on a Sunday night for major servicing while fresh engines would be sent down to take over. 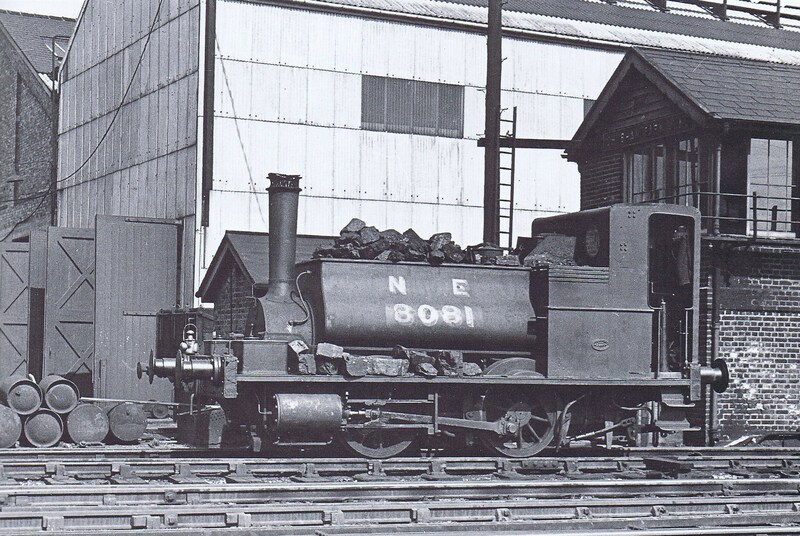 Loco’s would probably work round the clock, when the docks were at there height, possibly with 3 sets of crews on 8 hour shifts. 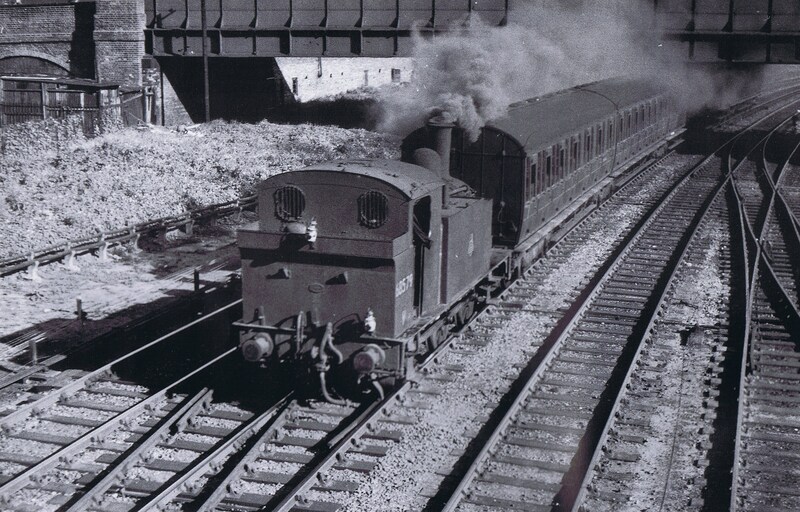 In the sidings, on the wharf’s and docks, the little 0-4-0 Y5’s were ideal for the tight radius curves in the track work, but as wagon loads increased there was call for a more powerful loco and the Y4 0-4-0 with outside cylinders, and bigger boiler, would have ruled by the time we get to the mid 40’s. On the passenger services there will be F4 and/or F5’s with a Quint art set and the occasional 3-4 coach non-corridor set. These 2-4-2 tank loco’s would be based and serviced at Stratford Depot, although they would have access to coal and water at Bow Creek shed, there would be a water column at the end of the platform also. When a regular loco is not available, for what ever reason, we may see a J15 0-6-0 tender loco or one of the J68/69 tanks in charge but only those fitted with Vacumn/Westinghouse braking system and steam heat (winter). There were occasions when excursions and specials were run, could be a trip to “Sarfend-on-Sea”,( Eastend/ Essex terminology), or to Brighton. These were usually made up of Gresley corridor stock, but non-corridor suburban stock may have also been used, and could call upon a pair of “Buckjumpers” if heavily loaded. J15’s and F5’s could possibly be used. The Southend train would run to Stratford, via Bow Rd. Jct. and the loco taken off and the train taken over by possibly a B12 4-6-0 more often than not. In the case of the Brighton excursion this would have run to Bow Rd. Jct. also but it would reverse ( either the loco running round or another waiting to couple up to the other end) and run to Liverpool St. and then reverse direction again, taking the East London line under the Thames, with usually pair of “Buck’s” in charge, through to New Cross and handing over to a Southern Railway loco, N15 ? possibly. On the return journey, yes you guessed it, it all happens again in reverse, I think thats enough reversing for now. With regards to details of the coaching stock and other rolling stock I intend to deal with these subjects in other sub-sections to be added later. There will be other sections dealing with type of freight, industry, working time table, the Wharf and it’s traffic and I’d also like to discuss the buildings themselves, not only the wharf but the station and surrounding town. If you have any comments, questions or wish to add any relevant information or suggestions on the area, in which this layout is being based, I’d be pleased to hear from you. As mentioned above the passenger services would be in the charge of F4 and F5 2-4-2T “Radial Tanks” the first 30 of which ( M15, E16 )were built between 1884-1886 by T W Worsdell. These had radial axle boxes on the leading and trailing axles and were fitted with Joy’s valve gear and 140psi boilers . These loco’s nicknamed “Gobblers” because of there heavy coal consumption ( or was it the way they were driven ?) 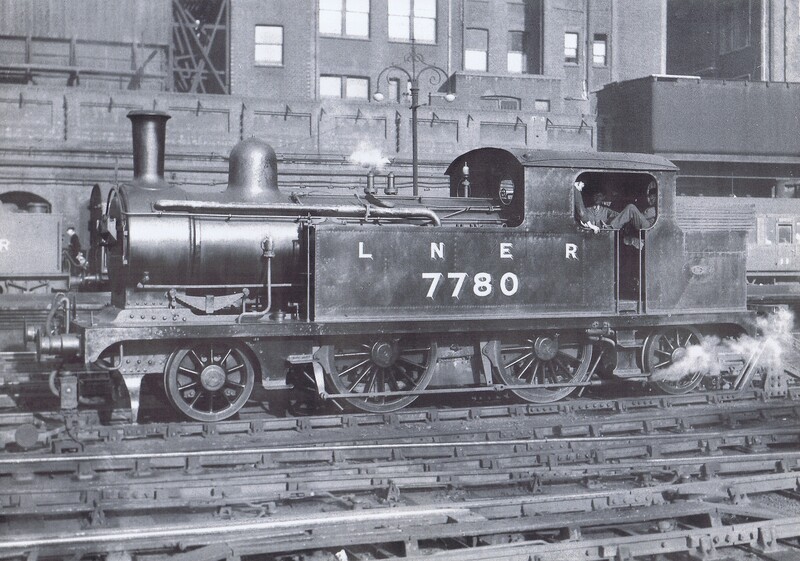 were later rebuilt with Stephenson Link motion under J Holden, who built the next ten loco’s ( 018 )in 1886-7 with this latter valve gear from new. Between 1903 and 1909 a further 120 ( P55 ) engines were built but with 160psi boilers and by 1911 the earlier engines had been rebuilt with the higher pressure boiler. In 1911 S D Holden had introduced the F6 ( G69, A71 ) , a similar modernised engine to the F4 but with 180psi boilers and other modifications. 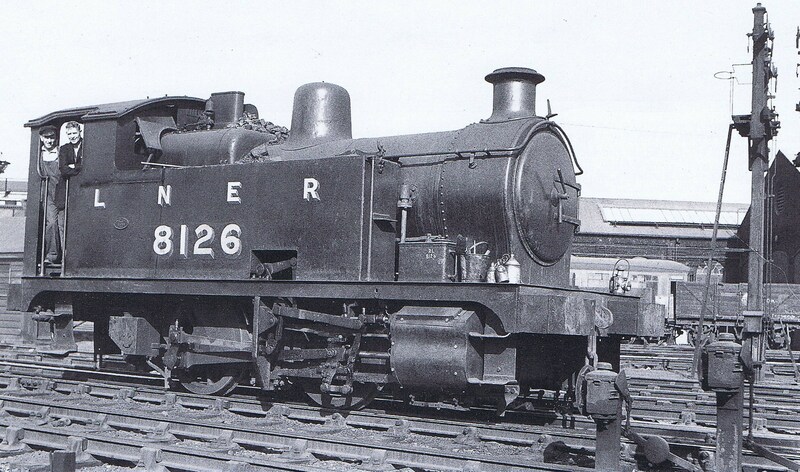 These higher pressure boilers were fitted to some of the F4’s and became F5’s ( LNER classification ) and were fitted with a parallel, brass-rimmed chimney. The rest of the class eventualy recieved the later boilers but the working pressure was kept to 160 psi. More to follow, atb, Col.